School Garden Support Organization Leadership Institute held January 20-25, 2019 in Santa Cruz. Applications due August 10, 2018! Crack some eggs and toast Breakfast Week! Southern Cal SNA offers the Nutrition Educator Contest! 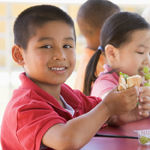 Keep current with the California Smarter Lunchroom movement by receiving their e-newsletter, “The Monthly Nudge”. Subscribe here.